You know how much I love frozen fruit . . . well, I decided to try frozen watermelon. We had a watermelon that was pretty much scraped out, but there were still some yummy pieces left and it was going to go bad if I didn't do something. So, I stuck the whole half of watermelon in the freezer. I froze it for about a day and when I took it out, I almost hurt myself because it was so heavy (think frozen oblong bowling ball). 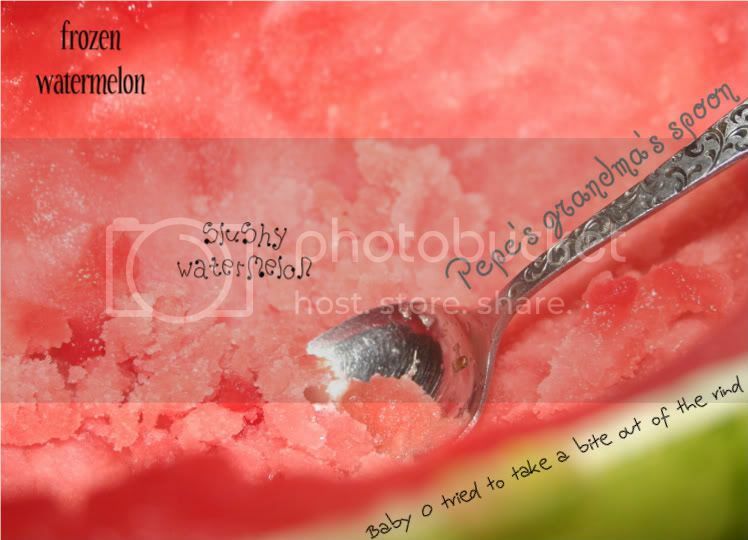 I used a spoon and scraped the walls of the watermelon . . . delicious!